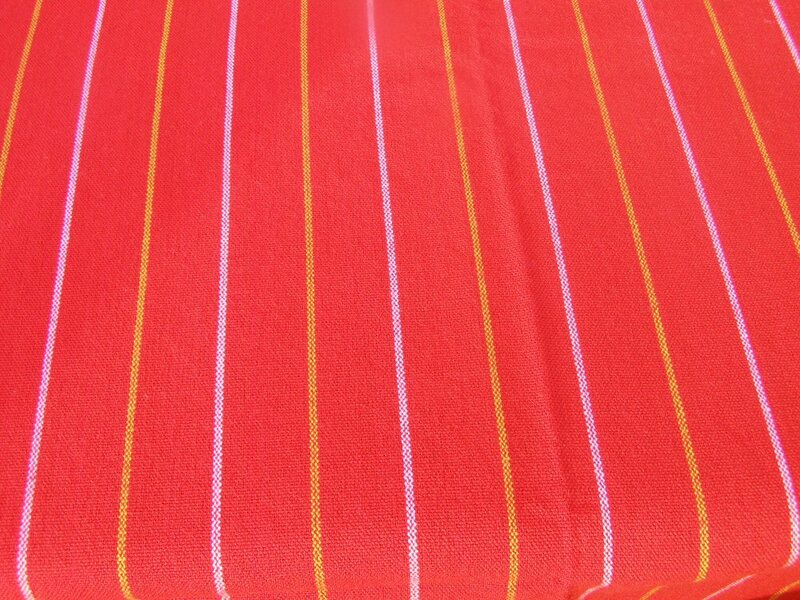 This Sahara Stripes Shuka is made up of 1.5″ Brilliant Red Strips along with fines lines of yellow and white. Maasai Shuka is still wortraditionally but also used as a bedding blanket, a picnic cloth, a wall hanging, and cut into all sorts of shirts, shorts and dresses. everal styles. Measures approximately 56″ X 80″ with two selvage edges and two simple rolled hem edges. It was made from an acrylic cotton blend in Tanzania.